Show your love for racing to everyone by hanging this commemorative felt banner at your home. 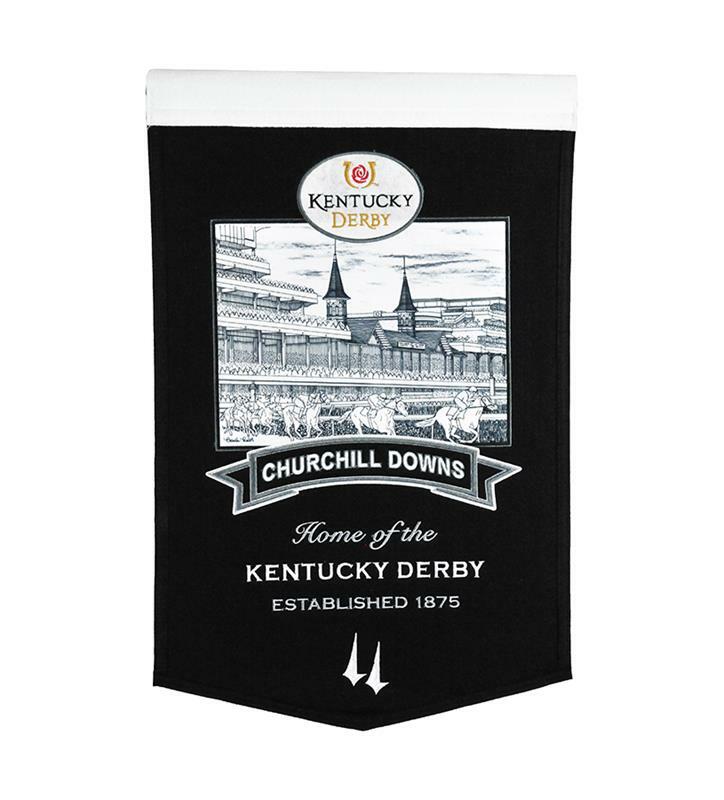 Features the iconic Twin Spires located at Churchill Downs. Measures 12" W x 18" H.